Jean St-Pierre, Ph.D., P.Eng. is a graduate of École Polytechnique, Montréal, Canada and holds 3 engineering degrees from this institution (Ph.D., M.Sc.A., B.Ing.). Twenty years of his industrial and academic career has been devoted to the development of proton exchange membrane fuel cells including aspects such as water management, freezing, degradation mechanisms, mathematical modeling, diagnosis and measurement methods, electrocatalysis, pure oxygen operation and reactant stream unit operations (gas separation and fuel reforming catalysts). He previously held principal research scientist and research professor positions at respectively Ballard Power Systems (1995-2005) and the University of South Carolina (2006-2010). He is currently a researcher at the University of Hawaii. His work has led to more than 95 journal papers, book chapters and proceedings, and, more than 25 granted and published patents. He is a member of the Electrochemical Society, the International Society of Electrochemistry, the American Association for the Advancement of Science and Sigma Xi. Matthieu Dubarry (PhD, Electrochemistry & Solid State Science, University of Nantes), has over 10 years of experience in renewable energy, with an emphasis in the area of lithium ion batteries. 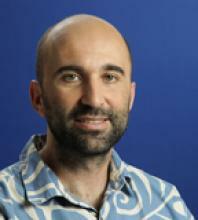 Following his PhD on the synthesis and characterization of materials for lithium batteries, Dr. Dubarry joined the Hawaii Natural Energy Institute at the University of Hawaii at Mānoa as a post-doctoral fellow in 2005 to work on the analysis of the usage of a fleet of electric vehicles. He was later appointed a faculty position in 2010 with a focus on battery testing, modeling and simulation. While working for HNEI, Dr. Dubarry pioneered the use of new techniques for the analysis of the degradation of Li-ion cells and developed numerous software tools facilitating the prognosis of Li-ion battery degradation both at the single cell and the battery pack level. 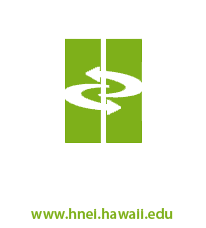 Current projects include the evaluation of grid scale Li-ion battery energy storage systems; the evaluation of the impact of vehicle-to-grid strategies on electric vehicle battery pack degradation; and the testing of emerging battery technologies for grid-connected and transportation applications.